Sea Tunes For Kids contains 12 fun and educational songs (10 on DVD) about many types of sea animals. These include Walrus, Whales, Porpoises, Sea Otters, Lobsters, Horseshoe Crabs, Seahorses, Squid and more! Written and performed by Brent Holmes and produced by Emmy nominee Dave Hoffner, this CD contains some of the silliest and some of the prettiest children’s songs ever recorded. 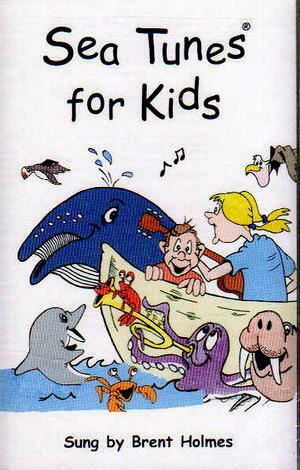 "Billy The Squid" and "Wally The Walrus" make their singing debuts on this CD. The CD version contains two educational spoken tracks: "Fun Facts About The Ocean" and "Fun Facts About Sea Life".